There was so much more to Ealing Studios than its famous comedies. But there's one category of Ealing films that's really obscure. The 30-odd documentaries and propaganda shorts released by the studio between 1939 and 1946 are barely known. Several have lain unseen for decades, and many others are missing altogether. But in the war years, these films were key to Ealing's development. 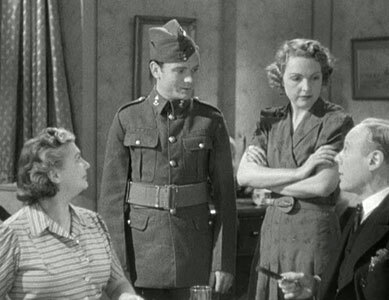 The studio's 'shorts unit' explored different ways of representing Britain's war at home and abroad, and served as a training ground for Ealing directors and technicians. Documentary began to colour the studio's feature films, bringing greater realism and leading Ealing in a new direction. Ealing Studios at its darkest in this evocative East End thriller. UK schools, colleges, university libraries and public libraries have FREE access to video and audio material through the National Education Networks (NEN) or JANET. "The studio with team spirit..."
...That was how Ealing saw itself. Meet the team behind some of Britain's greatest films. From Hue and Cry to The Ladykillers : the evergreen classics that made Ealing Britain's best-loved film studio. Why not explore the huge range of resources in our packed Education Zone? The epic drama of everyday life brought to your living room, courtesy of Britain's classic soaps.